As an owner, operator, and guide at Silver Water Wheel lodge, I wear many different hats. When it comes time to make decisions on boats, motors, and electronics for our guide fleet, I am definitely wearing the “guide” hat. Other lodges may choose to cut corners or save money when buying boats, but when it comes right down to it, our guests spend most of their vacation time in a boat on the water. As guides, we choose the 2025 Kingfisher Flex Tiller powered by a new Yamaha F 115 hp 4 stroke. We have Lac Seul tested many rides and this is by far our favorite. The tiller platform allows guides the ability to effectively control the boat from the stern leaving plenty of space for storage and the full casting deck for our guests to stretch out and cast. The Yamaha F 115 tiller is extremely reliable and unbelievably quiet. It is common for guests taking their boat out after supper to try to start it twice as they couldn’t hear it running. 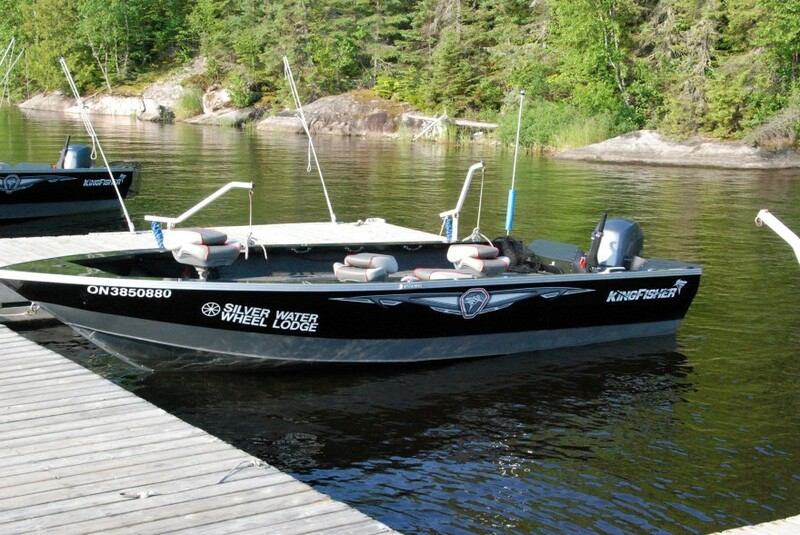 This power house deep V is right at home on the big water of Lac Seul, yet the high transom and additional splash guards give guides the ability to back troll down without the need for an additional kicker or electric. The boats feature 2 rod lockers with storage for more than a dozen rods, ample additional storage for shorelunch kits and guest’s gear, pedestal seats, bait wells, and a fully carpeted interior that is both comfortable and quiet. The most important feature for the guides is our choice of electronics. 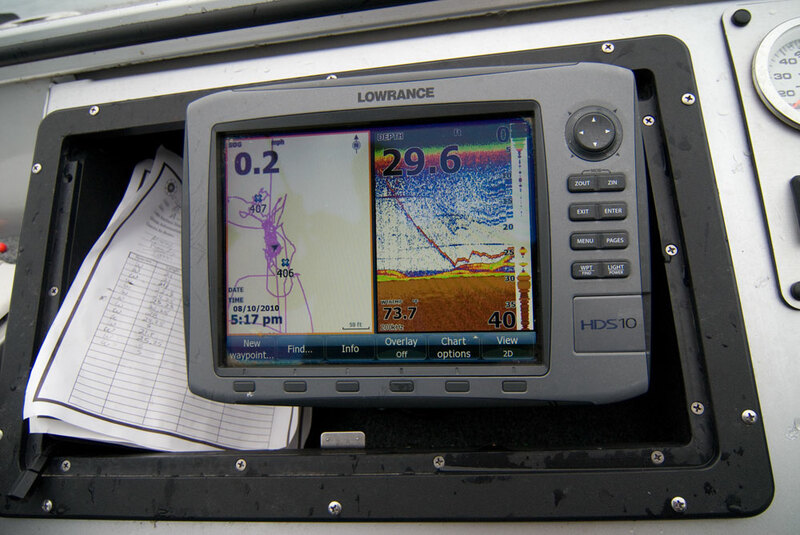 All guide boats are rigged with state-of-the-art, color, HD, Lowrance GPS / Sonar combos. The split screen feature allows guides to pinpoint their location with the GPS while watching the sonar side for changes in structure and for those great big red and yellow hooks. Compared to electronics of a decade ago, these are like watching high definition t.v. To put on the best show, professional guides require premium tools. 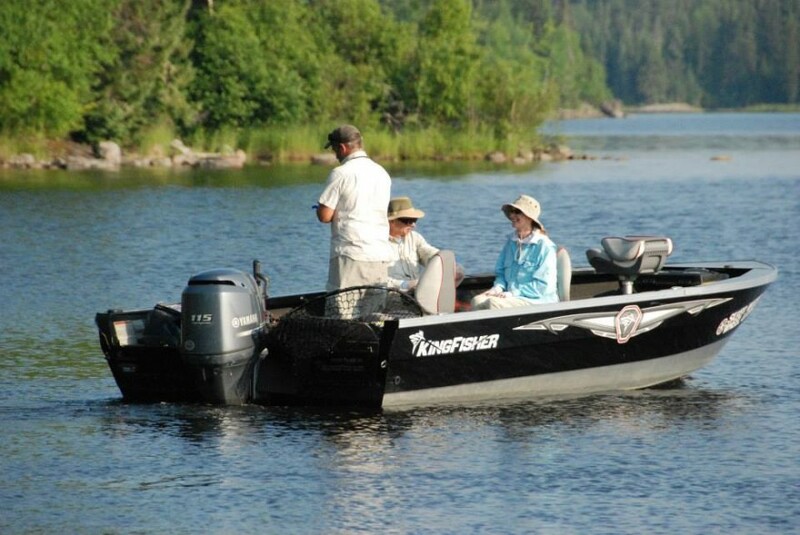 Silver Water Wheel guides choose Kingfisher, Yamaha, and Lowrance to build the most comfortable and efficient guide boat on the water.